For many people, junk food is simply a part of life. Every single one of us takes advantage of any opportunity we can find to eat cake … or cookies, or brownies, or whatever our go-to snack of choice may be. We know it’s not good for us. Yet we just keep eating it. Though you might know junk food is bad for you, if asked, you most likely couldn’t explain exactly why. Is it the calories? The sugar? The fat? It turns out most junk foods have specific ingredients hidden deep in their labels that act as the most dangerous culprits here. Let’s look into the worst junk foods you can get, and what makes them so terrible for your body. Not all components of your junk food are bad. Ice cream, for example, has a few grams of protein and a little bit of calcium in every serving. However, it’s so packed full of sugar and artificial ingredients that the good things almost don’t even count. These are the most common ingredients you will find in your junk food — and why you should do your best to stay away from them. Too much fructose in your diet can have serious health consequences. It increases your risk of developing type 2 diabetes and fatty liver disease, can cause you to gain weight, and virtually contains zero nutrients that benefit your body in any way. High fructose corn syrup is found in a variety of junk foods, including canned fruit, breads made with refined grains, candy, salad dressings, and granola bars. Even your breakfast cereal likely contains high fructose corn syrup. Overloading your system with salt is bad news. You likely already know this. 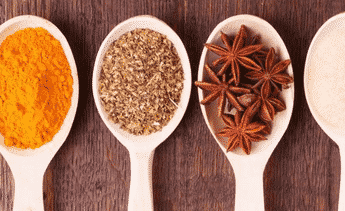 According to the American Heart Association, diets high in sodium increase your risk for developing high blood pressure and related heart problems as a result. Part of the problem is that you probably don’t realize how much salt is actually in the foods you’re eating — it’s not just in junk food. 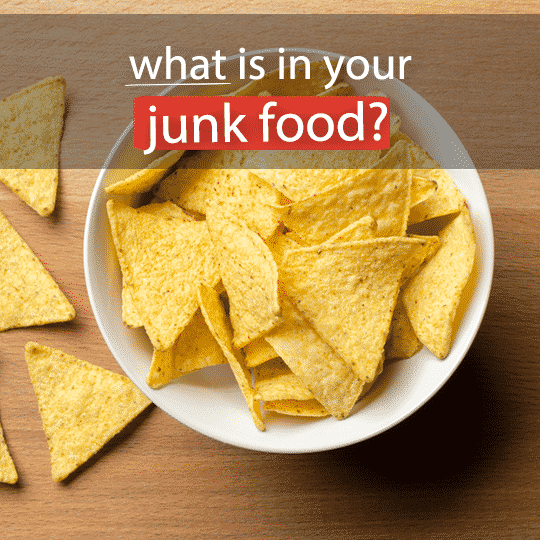 However, large amounts of it are often found in your junk food, as it’s used as an additive for both flavor and as a preservative to make the food last longer. Many of the ingredients you’ll find in your junk food do not occur naturally in the environment. Instead, they’re created synthetically in a lab. As you can probably guess, many people’s bodies don’t respond well to this — especially when it comes to yellow dye #5. You’ll find this in everything from macaroni and cheese to candy corn, but that doesn’t mean eating too much of it is OK. More and more companies are finding alternatives to potentially harmful flavorings and dyes. It’s going to be awhile though before we have to stop keeping an eye out for them in our favorite foods. Believe it or not, some brands of junk food still have traces of trans fats in them. The United States Food and Drug Administration now recognizes that trans fats are unsafe, and now requires manufacturers to remove them from their products by 2018. This is because research has found trans fats to be a risk factor for heart disease. Trans fats are stealthy. If a product has 0.5 grams or less of it, companies are allowed to say on the nutrition label that it has 0 trans fat. However, an item’s ingredients list reveals trans fat’s go-to alias: partially hydrogenated oil. Do your best to avoid foods that are still made with trans fats. Believe it or not, some junk foods are better for you than others. The worst of the worst are not only the least healthy — they also tend to be the most addictive. Before we get into why you can’t stop eating junk food no matter how hard you try, let’s look at the industry’s worst offenders. Many fast food establishments still fry their food in partially hydrogenated oils, which is just a fancy name for one you’re likely much more familiar with: trans fat. Donuts, onion rings, even french fries often fall victim to the food industry’s most stealthy villain. Yes, fried food tastes amazing. That’s why you crave it so often, and can’t seem to stop eating it once you get your hands on it — that’s the point. You don’t have to stop eating fried food completely, but you really shouldn’t eat it more than a few times a month at most. A scoop of ice cream has 137 calories, 14 grams of sugar, and about 4 grams of saturated fat. Many brands of ice cream, depending on the flavor, are also full of artificial colors and flavors. 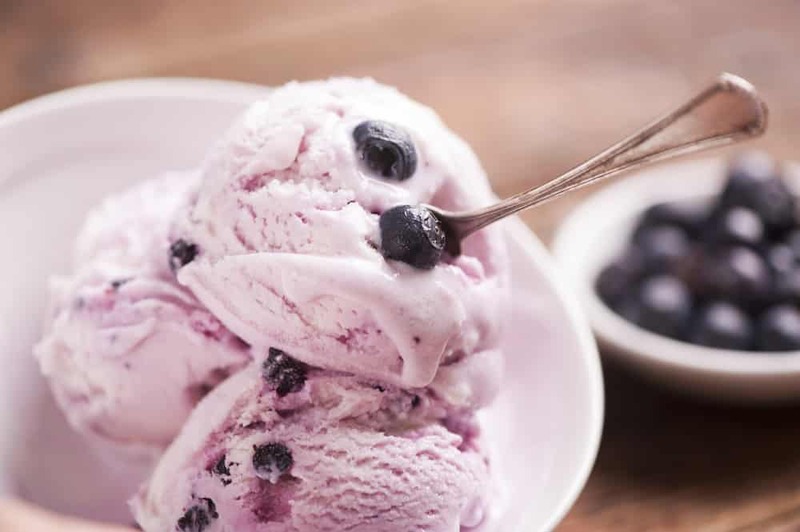 Ice cream may technically be a dairy product, but it has nowhere near the same amount of benefits as milk or Greek yogurt. If anyone’s ever told you macaroni and cheese counts as a real meal, they lied. Homemade macaroni and cheese isn’t so bad, but the stuff that comes from a box — yellow powder and all — is just as bad as eating cake for dinner. It’s full of artificial coloring, and the majority of the ingredients found in that cheese powder aren’t even real cheese. One cup of macaroni and not-actually-cheese has 3 grams of saturated fat. It also has 3 grams of sugar, and almost 1,000 milligrams of sodium — about half of the amount experts recommend you’re supposed to eat in an entire day. A serving of potato chips, on average, has 10 grams of fat and 360 milligrams of sodium per ounce. You’ve never eaten just one ounce of potato chips in a single sitting, and you know it. They may be crunchy, and they may satisfy all your cravings for something salty, but any ounce of nutrition that might be left over in those potatoes isn’t nearly enough to make them worth eating. Homemade potato chips aren’t quite the same, but if you bake them, the potatoes actually retain a lot of their original nutrition. Give it a try! Want to know even more about the worst foods on the market? These processed foods might be hiding in your cabinets and you don’t even know it. You may start pointing all your fingers at advertisers for pushing you to eat all these terrible, yet great-tasting foods, but marketing is only a small part of a much bigger issue. Once they start eating certain foods, many people are simply unable to stop. For many people, it isn’t even a conscious choice. They might even try to swear off junk food for good — but they can’t. While experts used to blame saturated fat for obesity and heart problems, junk food contains something much more dangerous than unhealthy oil. Most of these foods are addicting because they are high in added sugars. 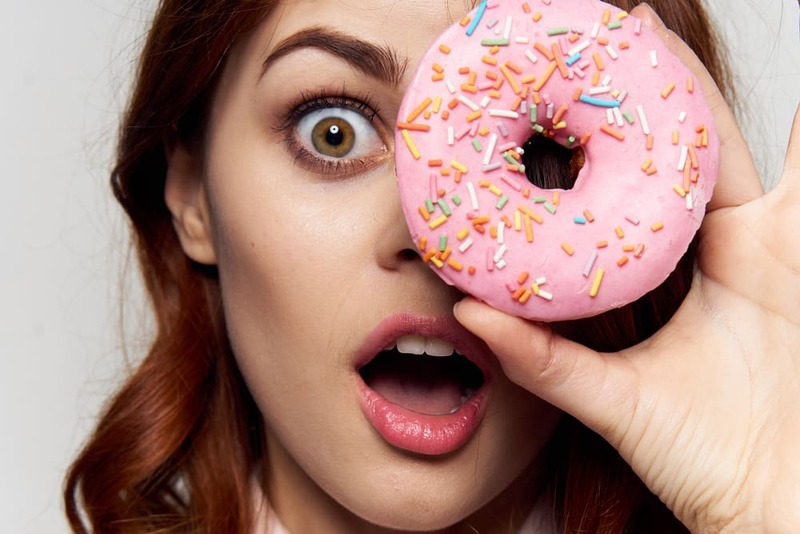 Sugar — the kind you will find in junk food — essentially trains your brain to crave it more and more the more you eat. If you regularly over-consume foods with added sugars in them, you will become dependent on these foods. It’s not exactly the same as an addiction to an actual drug, but the same mechanisms are behind an addiction to foods high in synthetic sugar. Junk food is not nutritious — not even a little bit. It’s high in calories but extremely low in actual nutrients. That means you can eat a ton of junk food in one sitting and still feel hungry. You won’t find much protein, complex carbs, or dietary fiber in these foods — which means you have to eat large servings of it before you start to feel full. If you’re legitimately hungry, but you try to satisfy that hunger with junk, you are much more likely to overeat. Junk food is hard to avoid. It seems to lurk around every grocery and convenience store corner these days. Your best defense against it is to slowly swap your favorite terrible foods for healthier alternatives. You don’t know it now, but pretty soon, you won’t even miss the junk food you used to call a friend. And remember: just because it’s bad for you doesn’t mean you have to outright quit eating it. You can still enjoy a handful of potato chips or a scoop of ice cream every now and then. Consider it a treat, not a curse.